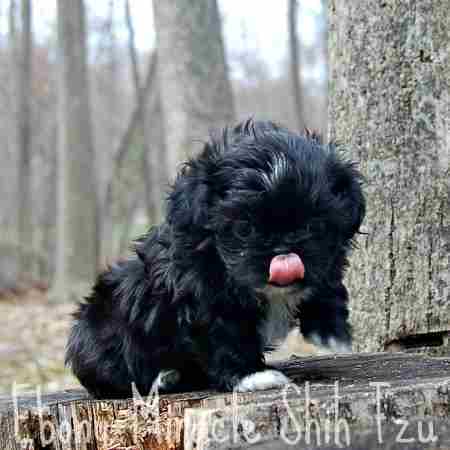 Need unbiased Shih Tzu puppy information? Shih Tzu puppies are just fantastic! Then again, I'm a little biased because I breed them and have been doing so for many years now. But I also know that there are ups and downs to living with a new Shih Tzu Puppy, the whining, the chewing, the pooping, just to list a few. Sometimes if feels they have more needs than we have hours in the day to fulfill. So, I am biased to the breed, but not to the issues you face. 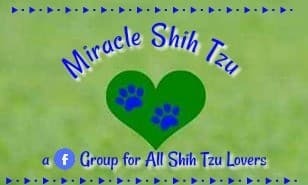 I have gathered together some Shih Tzu Puppy information that I think most new owners want to know. How did I decide what to add? That's easy. I asked Shih Tzu owners and puppy buyers. What Can I Expect from My New Shih Tzu Puppy? Beyond the wet noses, puppy breath and the excitement that all puppies exhibit, Shih Tzu puppies as a whole have certain characteristics in common. Which of the following characteristics best describes your Shih Tzu puppy's personality? 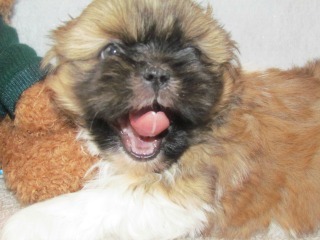 Jason writes: I thought Shih Tzu puppies were supposed to be laid back and couch potatoes, yet mine races through the house at 100 miles an hour. Tiffany, on the other hand, is worried that her Shih Tzu sleeps too much. She has heard that Shih Tzu puppies are very playful. 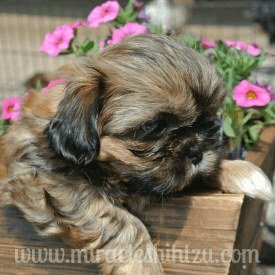 Which statement is correct about the temperament of Shih Tzu puppies? Both are right. There is a bit of the so called Dr. Jekyll, Mr. Hyde in all Shih Tzu Dogs. 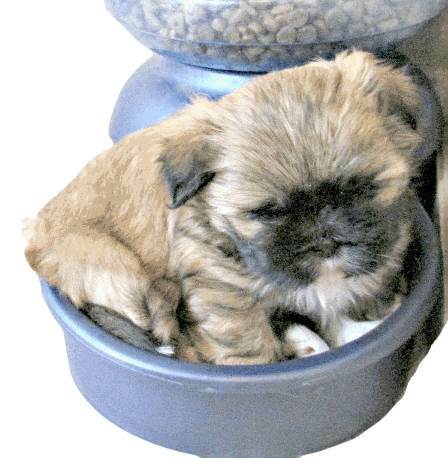 Do you ever wonder what the first few weeks of life were like for your Shih Tzu Puppy? What did he do? What did he eat? Did he play, go outdoors, and develop friendships? We know all about the first eight weeks of life and would like to share those with you. The first couple of weeks of life may be a little boring, but the pace picks up fast and before you know it, a little eight week old puppy emerges ready to start a new life with a new family. So, if you can't personally come visit a tiny Shih Tzu puppy, be sure to read what life is like for him before he comes home to you. How big will my Shih Tzu get? I get asked that a lot and many people reveal to me the stories they were told by their breeders. Anna, for example, tells me she has a Shih Tzu, who was supposed to be an Imperial, no more than 6 pounds tops, as an adult--that is, at least what her breeder told her. She asks me why her "little Shih Tzu" now weighs 24 pounds! Then there is Judy, who doesn't understand why her Shih Tzu has such a long nose. None of the pictures on my website have Shih Tzu with noses as long as hers? What gives? Then there is Carl, who was told that there is no such thing as a black Shih Tzu? So many myths surrounding the Shih Tzu, but the size is the biggest one. Find out what your Shih Tzu should weigh and if they don't fall within the breed standard, what could have gone wrong. 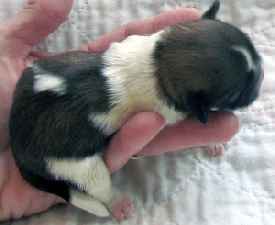 Read about tiny Shih Tzu Puppies often called Imperials, Chinese Imperials, or Teacup Puppies. No, I'm not talking about your six month old infant. But sometimes it feels like a baby Shih Tzu is just like a human baby. Many owners worry that they will need to wake up in the middle of the night to walk their dog. For those of us who have already done the parenting stuff and those of you who haven't gotten there yet, the realization that you have to interrupt a good night sleep for a puppy is a real eye-opener. While it's true that Shih Tzu puppies have tiny bladders, it's also true that they can be taught to sleep through the night without expecting to go out. What will the first few nights be like for your new puppy? What does my Puppy Need from Me? He may not be a human baby, but there is plenty he needs from you to keep him healthy, happy, and well behaved. We've put together a list of requirements for all puppies, but with the Shih Tzu puppy in particular. This list may seem intuitive, but what I've tried to do is sum up all the requirements very succinctly so I won't bore you with the details. My Shih Tzu puppy is sick. He's throwing up, or he has diarrhea. Puppies do get sick from time to time, and most new puppy owners are worried that they will end up spending all there extra cash at the vets. Relax. 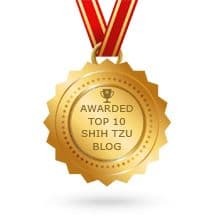 Knowing a little bit about Shih Tzu health might put your mind at ease. They really are a very healthy breed. Puppies do throw up and do have bouts of diarrhea, but it's not the end of the world. Learn when you should worry and when it's OK to provide some home TLC. You'd be surprised to know that many trips to the veterinary hospital can be avoided with just a little extra bit of knowledge. Start here to learn about keeping your puppy healthy. When Will He Learn Manners? 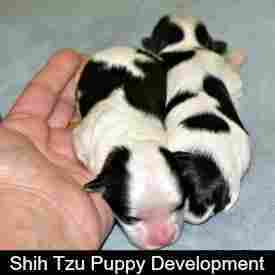 What do Shih Tzu Puppies Eat? I get asked this question all the time. Sadly there is no one size fits all answer to the question. All I can do is make recommendations based on what my Shih Tzu dogs eat (all 15 of them). There are so many options available today, but the highest quality food you can afford is the best option of all. 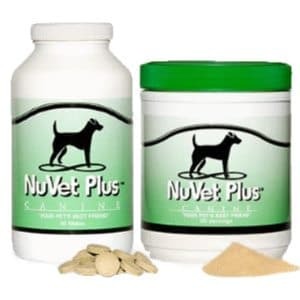 Puppy vitamins may be needed if the food does not provide all the necessary nutrients a small puppy needs. Just like every human who eats differently, Shih Tzu dogs are no exception. One thing is certain, though and that is that we must assure that a small puppy gets enough to eat. If a little puppy does not eat regularly, their blood sugar can drop to dangerously levels in a very short time. This can be a medical emergency. 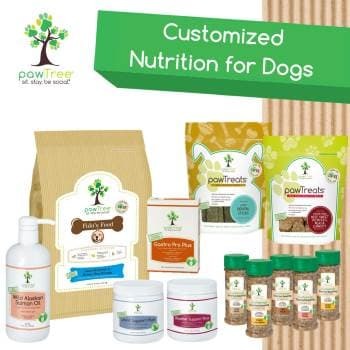 What works for one may not work for all, but there are general guidelines that you can follow and some basic knowledge of canine nutrition that will help make your decision about diets and foods a little easier. What Vaccines Will My Puppy Need? 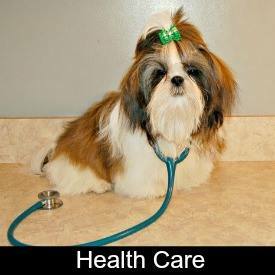 When people search for Shih Tzu puppy information, one of the first questions they ask involves vaccinations. What shots does my puppy need? That is a question only your Veterinarian can answer, but knowing a little background information can make you a better informed consumer. Not every puppy needs every vaccine and less is more is the motto of the day. 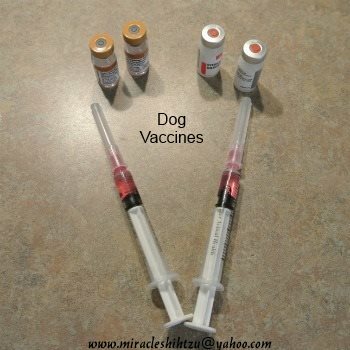 Don’t overload your puppy with unnecessary vaccines if at all possible. Know which shots are considered core vaccines, which ones are only recommended in certain situations and which ones are not recommended at all. If you are just getting started with the Shih Tzu breed, you might be surprised at the amount of time that goes into grooming--the brushing, the combing, the clipping, the bathing, sometimes if feels as though the list goes on and on. The most important thing that you can do immediately is to train your puppy to love grooming. Once you've purchased a few supplies and established a routine, well, as they say, all the rest is history. You may even decide to let the hair grow long and make a topknot for your puppy. 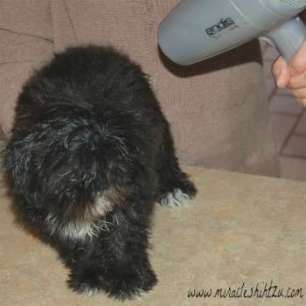 A well grooming Shih Tzu is a sight to behold, so start off right. Even if your Shih Tzu has developed some tangles, getting rid of the mats is not as difficult as you might think. As far as bathing is concerned, some puppies love it and some hate it and there seems to a small genetic component to these behaviors. All puppies should be taught to at least tolerate and behave while being bathed whether or not they think they are being pampered or tortured. Whether you must drive 10 minutes to pick up your new puppy or travel 1000 miles, there are some things you can do to make the trip enjoyable to both you and your puppy. You might even decide that your new puppy would make a great travel companion, whether you are traveling by land or air. 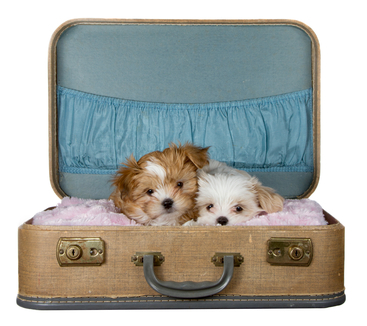 Shih Tzu dogs are a great size for airline travel and easy to manage on a road trip. 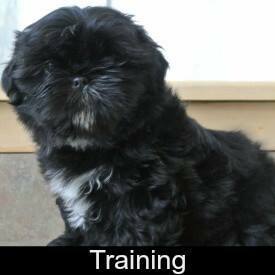 Our Shih Tzu Puppy Information page would not be complete without referring you to the page of available puppies. If we have puppies (and we don't have them all of the time) they will be linked from this page. If you are in the general area of Ohio, we'd love to meet you. Sorry, we cannot ship but we do meet people in nearby states.